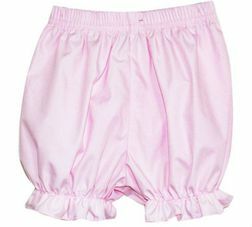 Such a sweet little bloomers set by Zuccini! 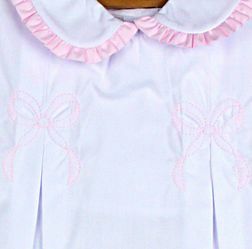 It is made with a white pleated top that has a pink ruffled Peter Pan collar. The front of the top, just above the start of each pleat is a beautiful hand shadow embroidered pink bow. 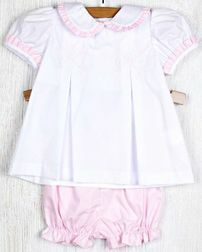 The outfit is completed with matching pink bloomers.